Those are the black side of chess pieces set which already to 'fight' faced the brown side. All pieces are stand on the squares chess board and looks elegant with their glossy appearance. 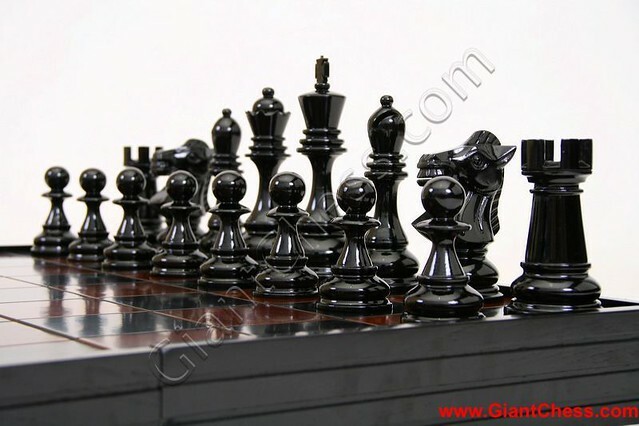 The black chess pieces set are made from selected Teak wood and carved by talented craftsman. All chess pieces has finished in good painted and polish in glossy touch. Meanwhile, those are the durable products and able for outdoor use. 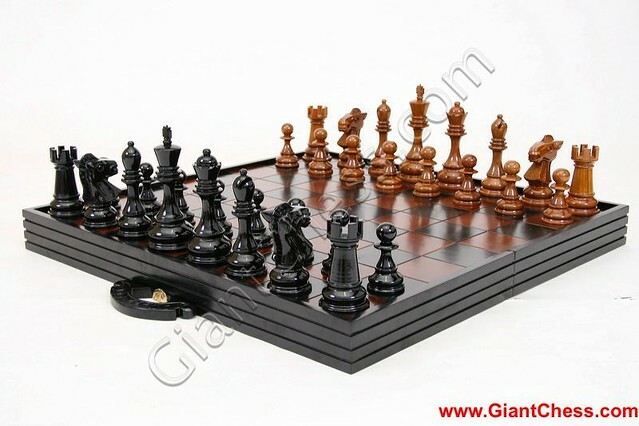 Get the beautiful chess pieces set both the brown and black, in great prices! Carpet is using for the bottom part of wooden chess pieces. It is aimed to protect the chess pieces and chess board which are often rub. The carpet itself has selected to get soft, smooth and thin carpet, so it is not disrupt the chess pieces upright. 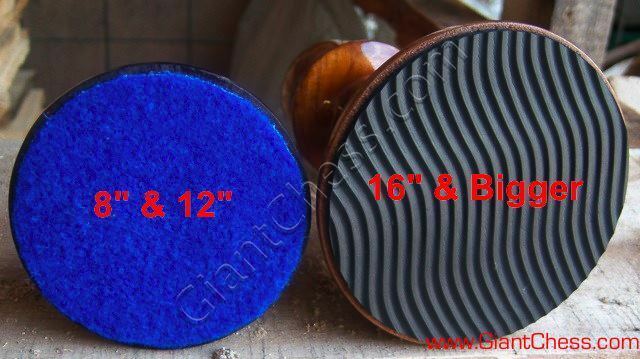 The chess pieces itself is felted to prevent scratching board surface. In essence, to prevent those friction coarse, we have been coping with a variety of creative and interesting ways. Wood is the most natural material for carving products need. Others, came from plastic, marble and stone; but wood still valuable than others especially the Teak wood. Teak wood is not only known and prized for these qualities, but also for its strength and resistance to wear in all seasons. So that mostly people like to use Teak wood furniture for their house, craft collections, house decoration, and also for their chess collection. Wooden chess is one of carving product that has its own uniqueness because those chess pieces have different unique forms. Equipped with squares chess board made ​​of teak wood as well, making the wooden chess set more interesting and must be owned by all chess lovers.